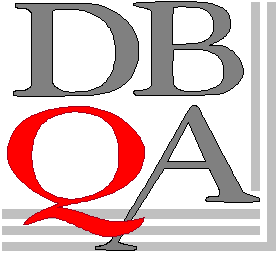 DBQA is a consultancy based on two main subjects, quality assurance and the technology of wine. These can be quite separate from each other, but on the other hand they can be combined, which is more fun! In the field of quality assurance ISO 9000 is the favoured system, which can be adapted to any situation, whether in manufacture or in service industries. Poor old ISO 9000 has been much criticised in the past for its bureaucracy and its dictatorial attitude. This can happen if the standard is misunderstood. Properly installed, it can, and should, help you to streamline your business, cutting down on paperwork, saving costs, making it more efficient and helping you to "Get it right first time". Most consumers will be totally unaware of the significance of The Food Safety Act 1990, but not the producers of our foodstuffs. Prior to this Act the safety of the food that we ate was poorly served by the earlier legislation, making very few demands on the supplier, who only needed a piece of paper known as a warranty to prove that he was selling wholesome food. Now the situation is quite different: the supplier has to prove that he is showing "due diligence and taking all reasonable precautions" in the production of his foodstuffs. The result is the blossoming of the quality auditing of suppliers premises and procedures. This is the field in which DBQA is unsurpassed, as the knowledge of chemistry, quality assurance techniques and the production and tasting of wine combine to produce a powerful auditing technique. Audits have been undertaken in many European countries, as can be seen in the audits page. Hazard Analysis and Critical Control Points, otherwise known as HACCP, is another comparatively new technique that is helping the quality assurance and safety of foodstuffs. This system is so simple and so brilliant that it has been incorporated in the legislation of all European countries. DBQA can assist in the implementation of this in any food manufacturing situation, not just in wine production. A new international standard is just round the corner and is beginning to find its use in the food industry. ISO 22000 is the universal food safety standard for Europe and incorporates the requirements of ISO 9000 and HACCP. This is the obvious progression for manufacturers of foodstuffs, bringing with it all the disciplines needed for safe and efficient production. And then there is the book - third edition!